Ikon louvre systems provide bespoke solutions for all non-mechanical ventilation requirements. Constructed from extruded aluminium, polyester powder coated to any standard RAL or BS colour. Anodizing is offered to special order. Four louvre types IKL33, 50, 75 and 95 can be provided. All are available with flange, glaze in and rebated outerframes. The IKL33 and 50 louvre can also be provided as face fixed. IKL95, 95mm blade pitch, 45 degree blade angle. 56% free area. Louvres can be provided with either insect or bird mesh and can be fitted with blanking panels, insulated panels or plenum boxes as required. Large area louvres can be made as continuous, eliminating the need for intermediate outerframe sections. 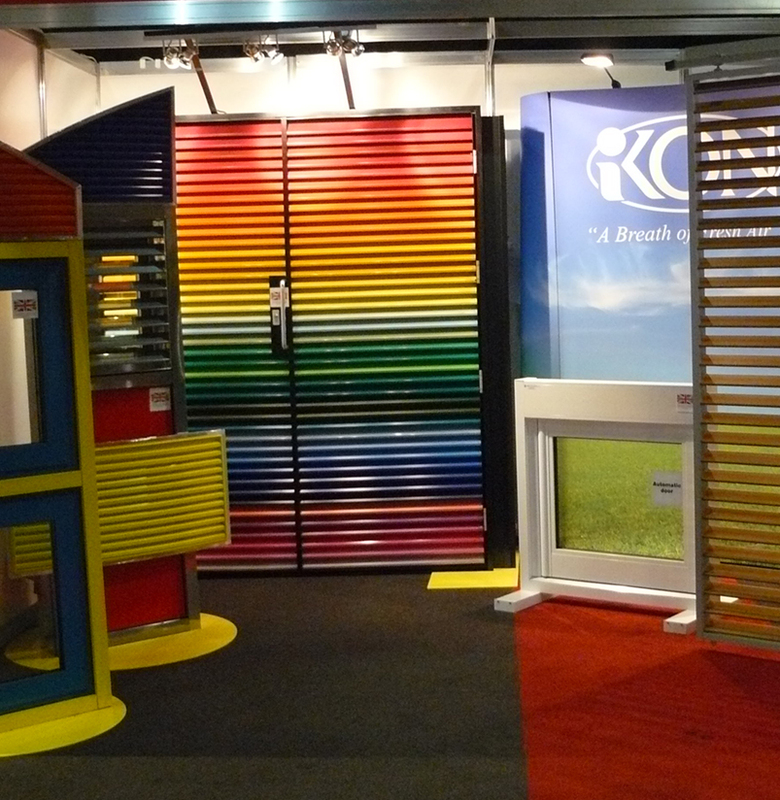 Designed specifically with student accommodation in mind, Ikon have developed a variety of barrier louvres. Tested in line with BS EN 1191-1-1 to comply with Part K2 of the building regulations; BS EN 1211:2000, BS EN 12210:2000 and BS EN 13049:2003. All projects are assessed individually.